Can a ‘permanently fixed’ Voigtlander lens-hood be removed? In shifting from my previous Olympus M43 system to a Sony full-frame system (A7R), I was concerned to keep my gear costs to a reasonable level. My Olympus kit included two very nice wide angle prime lenses, the last of which is just going out the door. The catch with the Sony system is not so much the availability of such lenses, but their cost – an equivalent Zeiss wide-angle to my previous Olympus wide-angle sells for around 2.5x the cost! After looking at a variety of wide-angle options I decided to check out the Voigtlander Ultron 21mm F/1.8, a lens reported to have good performance and that sells for around half the price of its Zeiss equivalent. 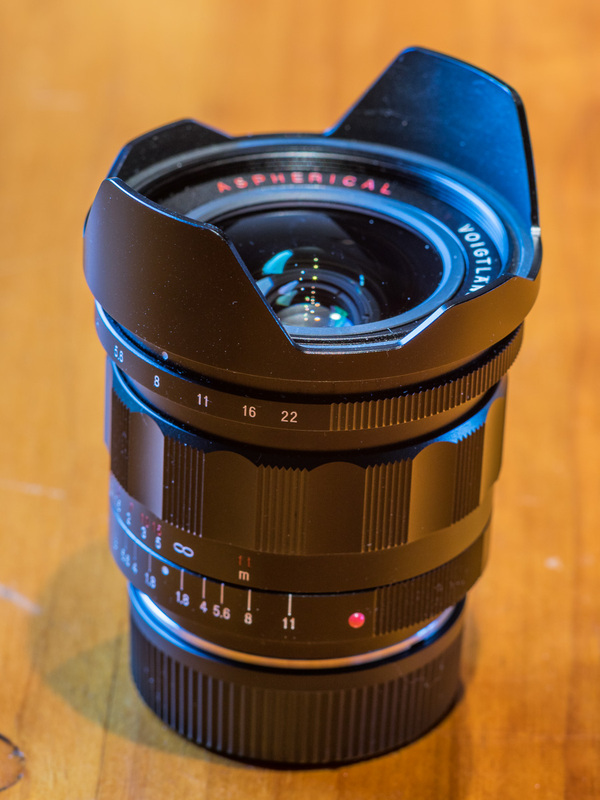 This cost saving then opened up the possibility of also buying the newly released Voigtlander 15mm Heliar III – a super wide angle optimized specifically to work well on mirrorless cameras such as the Sony. Two wide primes for the cost of a single Zeiss Distagon looked very attractive, except for one snag – both of the Voigtlanders come with permanently built in lens-hoods that prevent the use of a filter holder and neutral density and/or graduated filters.